It’s been a month since Microsoft released the latest version of Windows 10 called the Anniversary Update. Since then, we have gained a better knowledge of the update. 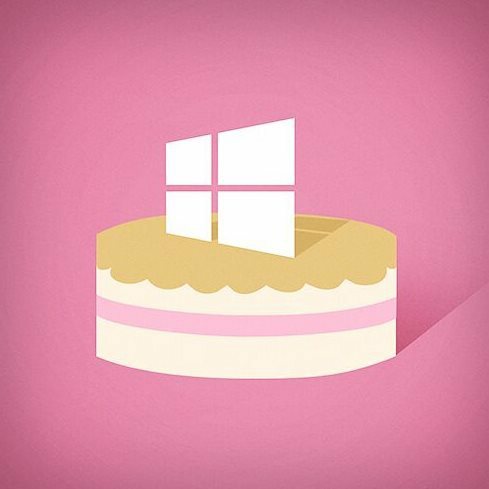 It’s been a month since Microsoft released the latest version of Windows 10 called the Anniversary Update. Since then, we have gained a better knowledge of the update. In this article, we have gathered a collection of the most common issues users are experiencing and provide possible solutions you can use to overcome them. You can also check out our previous article for additional tips if you are installing the Anniversary Update. Some users are experiencing problems with Windows 10 Anniversary Update across several areas. The article is divided into sections focusing on Installation and Activation, Desktop and File Explorer, Drivers, Store, Networking, and Applications. This article is not exhaustive, but if you are experiencing a problem that you do not see a solution for, leave a message in the comments or join us on the Windows 10 Forum. When will Microsoft Stop Issuing Updates for Windows 10 1511? Microsoft will continue to patch Windows 10 1511 for an additional six months. How Can I Prevent the Installation of the Windows 10 Anniversary Update? Press Windows key + R and key then type: services.msc, hit Enter. Scroll down, select Windows Update service, double click it. Select the General tab, click in the in the Startup Type list box, select Disabled, click Apply then OK. Restart your computer to confirm changes. When you decide to install the Windows 10 Anniversary Update, then be sure to enable the Windows Update service using the same steps. Will I need to create a new recovery drive? 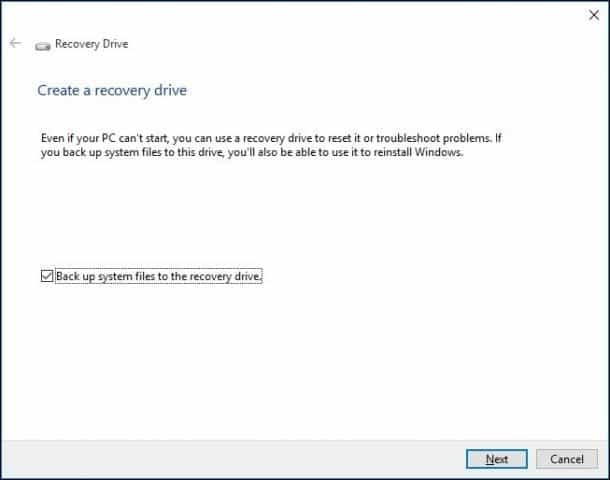 Yes, you will need to recreate the recovery drive after each revision of Windows 10; since your previous recovery drive, media would contain older reinstall files. The initial version of the Windows 10 Upgrade Assistant had minor issues; recent revisions should resolve this problem. Try downloading a fresh copy then try again. If the problem persists, try the following workarounds. Try using the Media Creation Tool to upgrade or download the ISO file then perform a manual upgrade. The error is normally associated with limited space; you need to free up at least 16 GBs of disk space. If you have an external hard disk or USB thumb drive with 32 GBs or more free space, connect it then power it on. Click the option Choose another drive or attach an external drive with 10.0 GB available. 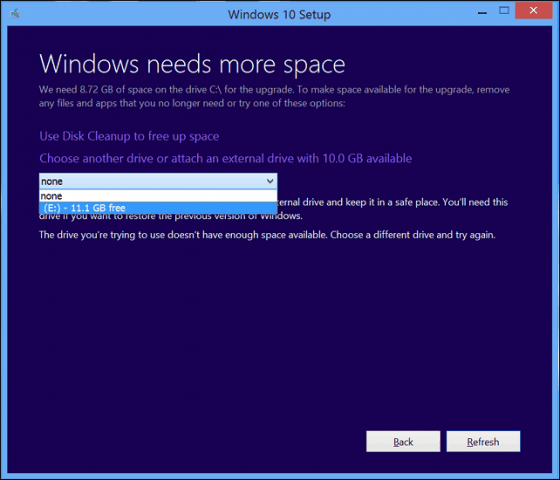 Click in the list box then choose the drive with 10 GBs or more space. If the storage device does not show up, click Refresh then try again. After selecting, click the Back button. This error can occur for many reasons. The error is sometimes associated with limited space; you need more than 12 GBs on the system drive. You can try freeing up at least 16 GBs available. Open This PC, right click the system drive then uncheck compress drive. Using the Media Creation Tool can also overcome this problem. This error code appears when there is a problem with the USB device you’re using or possibly some files are missing or got corrupted while downloading. Restart the computer then try again to see if it works. You can also try a different USB port, if you are using a USB 3 port, try switching to a USB 2 port instead. If the problem persists, try using the ISO file instead. Download the new version of the Windows 10 Upgrade Assistant then try again. 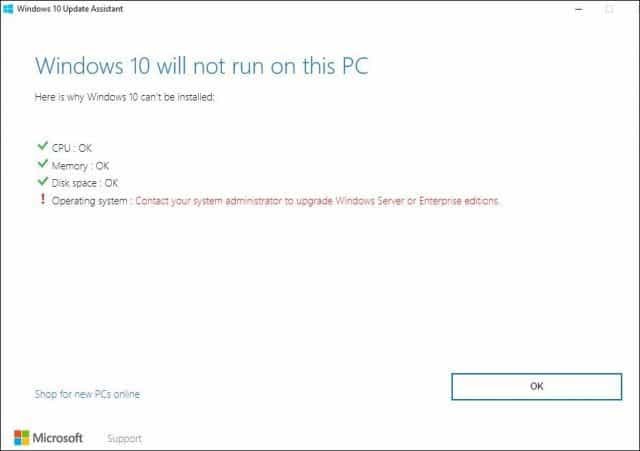 Windows 10 will not run on this PC – Operating system: Contact your system administrator to upgrade your Windows Server or Enterprise. Users running Windows 10 Enterprise edition must download the Windows 10 Enterprise Anniversary Update from the Volume License Service Center then perform a repair upgrade. If you are attempting to upgrade to Windows 10 Enterprise in a managed environment, old WSUS settings might block the update. Try removing the following registry key then try again. You should backup your registry before making any modifications. If I try to install the Anniversary Update from the Software Download website, there is no KN edition offered. There was a known issue that was causing the Windows Update Assistant to fail with error 80070490 when trying to install the Anniversary Update on Windows 10 KN Editions. This issue was fixed recently, so if you encountered this error before August 17th, please try again. Disable your Antivirus utility temporarily. Restart your computer a few times then try again. Try signing in with your Microsoft Account, give it some time, and it should activate automatically. Updating to Windows 10 version 14393.82 should resolve this problem, if you have not installed it yet, you can try the following command. I Bought a New Computer with Windows 10, but I don’t like it. Try installing the free Classic Shell or Start10 a 30-day free trial for $4.99. You can also consider returning the computer then purchase one preinstalled with Windows 7. You can also review instructions how to downgrade a computer preinstalled with Windows 10 to Windows 7. 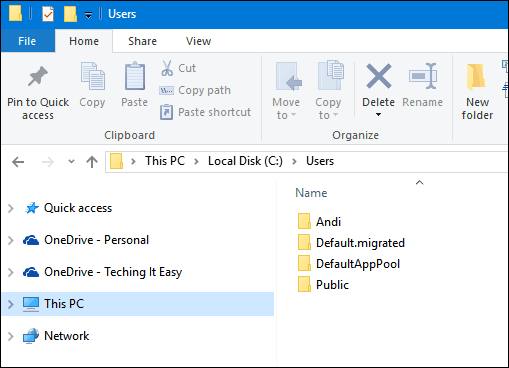 These are temporary folders that are used to facilitate the migration of personal files, applications, and settings to Windows 10. They are not important and can be deleted, or you can just leave them alone. Incompatible Antivirus utilities can sometimes cause problems. Press Windows key + X, click Programs and Features, scroll through the program list, select your installed Antivirus utility, then click Uninstall on the command bar. After completing each command, type shutdown -r -t 01 hit Enter; this will restart your computer. Try disabling Cortana, restart your computer then re-enable it. Many users report experiencing a Black screen when booting up or after login. 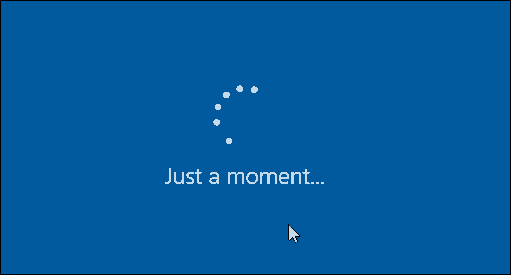 Waiting a bit to see if Windows 10 startup progresses is worth a try; waiting about 10 minutes should work. If you are experiencing the Black Screen after logging in, log out then restart in Safe Mode. Third party Antivirus utility such as Norton, McAfee, etc. If you don’t have any of the above installed, try uninstalling your current Display Adapter. Press Windows + X, Click Device Manager, expand Display Adapter, right click the current adapter then click uninstall. Exit device manager and then follow instructions to disable automatic driver installation; restart your computer in normal mode. If you can load the Windows 10 desktop successfully, go to the manufacturer’s website for your computer then download the latest display driver for your model. Wait for 10 to 30 minutes to see if the sign-in screen appears. Service accounts are typically used by Microsoft Applications. You can safely ignore or delete them. 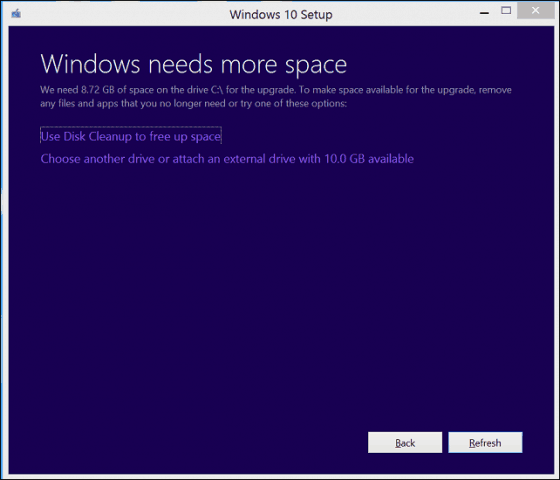 If you are seeing multiple partitions listed in Disk Management after installing Windows 10 Anniversary Update, this could be a result of installing on a Hybrid Drive. The multiple drives should not in any way affect the behavior or performance of the system. 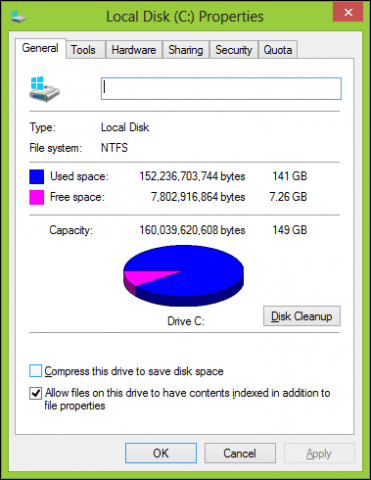 If you would like to remove them, then try creating a recovery drive. Choose the option during the recovery drive wizard to remove the recovery partition. Microsoft has received a small number of reports of partitions not appearing in File Explorer after installing the Anniversary Update. When viewing the partition in Disk Management, it appears as RAW, unallocated space. Microsoft is aware of this issue and is working on a solution to be released through Windows Update. Any data you have stored on the affected partition is still there. We recommend that you not try to recover or otherwise write data to the affected partition, nor should you format the partition. We will update this thread when a patch is released. If you would like to be notified when this thread is updated, click the Subscribe button at the end of this post. For up to days 10 days after installing the Anniversary Update, Windows includes the ability to “go back” or return to the previous build if you are experiencing this issue and do not want to wait for the patch to be released. First, launch Windows Update then install the latest updates then restart your computer. If the Store does not launch, press Windows key + R, type: wsreset.exe then hit Enter. Wait a bit then try launching the store again. First, check Windows Update for the latest Updates and install them. You can also try running the Store troubleshooter, press Windows key + Q, type: troubleshooting then hit Enter. Type store in the search box, double-click Windows Store apps troubleshooter, then follow the on-screen instructions. 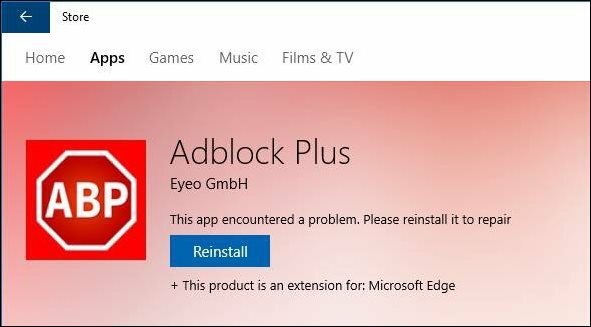 You need to fix your Microsoft Account for apps on your other devices to be able to launch apps and continue experiences on this device. Try switching to a to a Local Account, click Start > Settings > Accounts > Sign in with a local account instead. Follow the on-screen instructions to create the Local Account. Restart your computer then sign in. Launch the Store icon on the Taskbar then sign in with your Microsoft Account. Switch to a to a Local Account, click Start > Settings > Accounts > Sign in with your Microsoft account again. Try running the Windows Update Troubleshooter a few times to see if it corrects the problem. Press Windows + X, click Control Panel. In the search box, type troubleshooter, and then click Troubleshooting. Under System and Security, click Fix problems with Windows Updates. Try launching Windows Defender from the Notification Area, then install the Updates manually. You can also try downloading definitions directly from the Malware Protection Center, then install them manually. If you are installing the drivers from removable media such as a thumb drive, Windows Defender might be preventing execution. It’s very vigilant when you connect external media with executable code. Try copying the drivers locally then execute from there. Click the More Actions menu, click Extensions, select the installed Extension then click Uninstall. Follow instructions to download and install the Extension again. Updating to Windows 10 version 14393.103 or later should resolve this issue. If that does not work, you can try disabling the Windows Search service as a workaround. Press Windows key + R, type: services.msc then hit Enter. Scroll down to Windows Search, right click it then click Stop. Restart your computer and then see if the issue is resolved. First, check Windows Update for the latest updates to see if this resolves the problem. You can also try repairing Microsoft Office. If the problem persists, create a new user account to see if the problem is fixed. If your computer came with the computer, it would likely be a trial version. If it was Office 365, it would only be for 30 days unless you had activated a subscription. If you had activated a subscription, you can sign into the Office Portal and reinstall it. You can fix this by first installing SQL Server 2005 Compact Edition. Proceed to download the Windows Essentials offline installer, then proceed with the installation. Download and install the latest Visual C++ Redistributable Package then try again. Start by uninstalling all Apple Software; this includes iCloud itself, iTunes, Apple Support software, etc. I recommend using Revouninstaller to remove all Apple Software thoroughly. Also, make sure you uninstall the Apple Software Updater too. Try installing iCloud and iTunes again. You can first try running Microsoft’s free Fix It utility. If that does not work, uninstall any previous versions of Google Earth. I recommend you use Revouninstaller to perform a thorough uninstall, then try installing Google Earth again. Uninstall any existing versions of Skype, download the latest version, install it then try connecting again. Click Start, type: quick assist then launch from the search results. Certainly, more issues will come along over the coming months. Some matters such as Microsoft Edge tabs not closing and Web Cams not working are on Microsoft’s radar and will be fixed at some point in the near future. On one of my older pc machines I’ve been able to sort out some issues by simply running the troubleshooters that come with Windows 10. The one component that usually gets corrupted is Store – simply resetting this has helped me with AU issues. Other fixes have been more hit and miss! When I bought this machine 3 yrs. ago, it was Win.8. Then I updated to Win.8.1, and now I have Win.10. I haven’t received the Anniversary Update yet. My question is my recovery drive D, that came on this machine is for Win.8. How can I update that recovery drive to the Win.10 Anniversary Update, when I receive it? I don’t want to take this computer back to Win.8, if I would need to use the recovery drive D. I do have a image backup external hard drive. I’m thinking of just using the MCT to update to Win.10 Update. 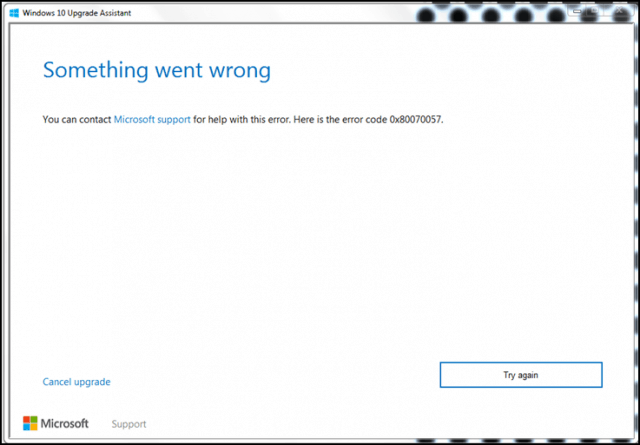 @Sonja….No way to upgrade “D” drive to Win10 recovery. You can, however, use a partition management tool to put a saved image of your current system on that partition. Then to recover you can point the recovery process to that image. I know there is no way to update the “D” partition drive to Win 10. I don’t know how to “use a partition management tool” to put a saved image of my current system on that partition. I’m not very computer literate. I just know that I don’t want Win 8 there, and was told not to bother with it. Duh…I know Win 8 is there and totally useless and can’t use it. Have my doubts if this drive will be big enough for Win 10 or not. The D drive is 17.7GB and don’t Win 10 Anniv. Update on 64 bit computer need 20 GB? Very nice. You are appreciated! Hi! I just used the MCT flash to restore to the factory Anniversary and then used a back up image to get me back up and running. Worked like a charm. I’m always preaching use a 3rd party back up image program and it paid-ed off for me. I have been trying for a month and I get error 0x80070005 . Any ideas how to fix this? I am a novice in computers. Prior to the Anniversary Update I was able to bypass the lock-screen. Now with the Anniversary Update (successfully) applied my boot-up reverts back to requesting my password at the lock-screen. Is that a known problem relate to the update? I don’t know if it’s a know problem, but I had the same problem. I just went in and changed that option! Do you recall which option you used? The option I used (gpedit.msc, etc) was still set in place to my changed value but yet it did not work as it did prior to the Anniversary Update. Hey Andre! I’m completely confused about what I should post and what I should not post on your blogs. I just want to say I appreciate your vast knowledge. I follow your blogs religiously and I’m learning a lot. Thank you my friend! keep up the god work my friend! and now have problems with my Ethernet settings.. was using an ODBC connection to IP 192.168.74.128 prior to the Windows updates.. following the updates I’m no longer able to use this IP, connection fails. Do you have a suggestion as to which of the updates may have caused this? I don’t think it was any of the Office related updates… so I think it must be one of the Windows updates, KB3176935, KB3176937 or KB3189866. I’d like to back one update at a time to try and isolate which one is causing the issue, This is a partial output of ipconfig following the updates. No default gateway and the IPv4 address is something I haven’t seen before. Hi There! Here’s my thoughts while waiting for Andre. You can Google those Windows KB patches and MS will tell you what each one is for!. I know the KB 3189866 is a cumulative patch and is fairly large. It gave me a lot of grief getting it to down load! Have you tried the W10 trouble shooter to get you connected?? You might also see if there is a updated driver for your internet adapter. Groovey post has a help forum. If you click on Windows10 forum at the top of this blog, it will take you to the forum! I have the black screen of boredom after anniversary update and various other features have issues including Word? Why is it necessary to uninstall McAfee to get this update to work? This is a prescribed business choice of anti virus software so leaving it off is not an option for me. Advice please? Hi You don’t leave McAfee off. You just turn it off until the update is installed. IMHO there are a lot of anti virus better then McAfee. I suggest you join a windows help forum and post your issues. Grooveypost has a help forum. Windows10.help . My computer is stuck in the swirling white dots on a black screen after an automatic update. I already had windows 10 installed with no problems. This update happened a week ago and I left the computer over night and the dots were still there. Had to turn off the computer and windows successfully rolled back to the prior version before the update. Now it tried again to automatically update and the dots are back. Any ideas of what I should do? The update took several hours so I hope to resolve this this time. Thanks! My laptop is ASUS X205TA which has 32 GB internal and comes with pre-installed Windows 10. My win10 automatically downloaded the anniversary update. Installation of it reached to 91% and gives an error like this “Please insert another external storage and press OK!” . What to do? This is my second try to install anniversary update. I’m trying to install the Anniversary update, and get a message that I need to uninstall Picture Package in order to do that. When I try to uninstall Picture Package, I get a pop-up that tells me that there was a problem, to clear my Temporary file, close all running programs and check the internet connection. It indicates that Error -6003 is involved. When I follow the instructions, I still get thwe pop-up. Suggestions?. I have spent two weeks trying to update Windows 10 to the Anniversary Edition (1607). I persistently get an Error that Windows cannot determine the space on the disk drive. I have disconnected everything from the Acer Aspire V3772G. I have increased the disk drive to 2Tb. I have increased the recovery partition to 1.7Gb. I have disabled the anti-virus (Norton or Malwarebytes), I have tried updating using the ISO file. And still, nothing works. I still get the 0x007001f and 0x00f0922 errors, reguardless of what I do. Come on Microsoft. This product was working for a year and now it refuses to update. After two weeks of trying everything I can find on the web, I still have no solution. Tried several times to update to Windows 10 Anniversary Edition. After finally updating to windows 10 Home anniversary version, i keep getting this error message when i try to change my account picture it says ” Account picture error. Setting the account picture failed”. I synchronize my Microsoft account with my pc. Still the account picture is still showing it default avatar. Pls help, i thought Microsoft would have released a patch for the error by now. @Divine. Check the link provided. It shows step-by- step as to how to resolve your problem.